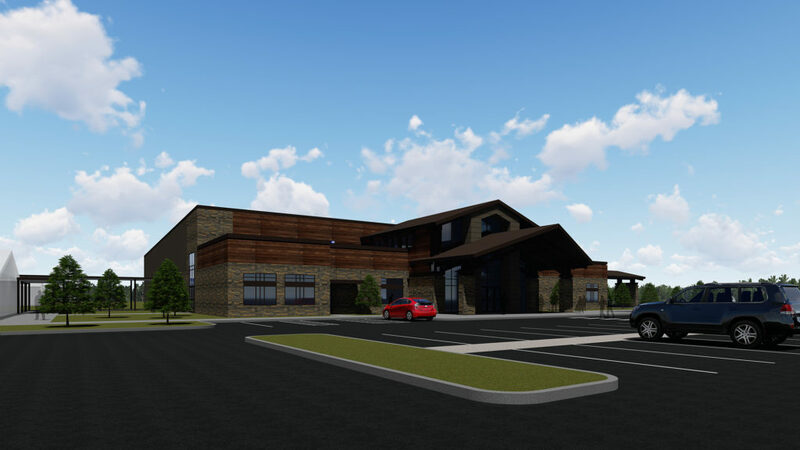 We recently began working with Northside United Pentecostal Church in Fort Smith to develop a master plan for their facilities and design a new sanctuary addition. 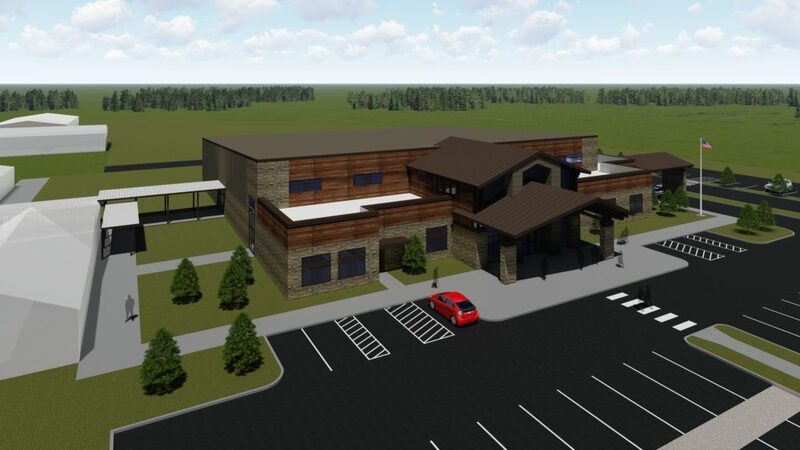 The Church has an approximate 20 acre site that is home to several facilities which accommodate the many programs and services that are part of Northside United Pentecostal Church. 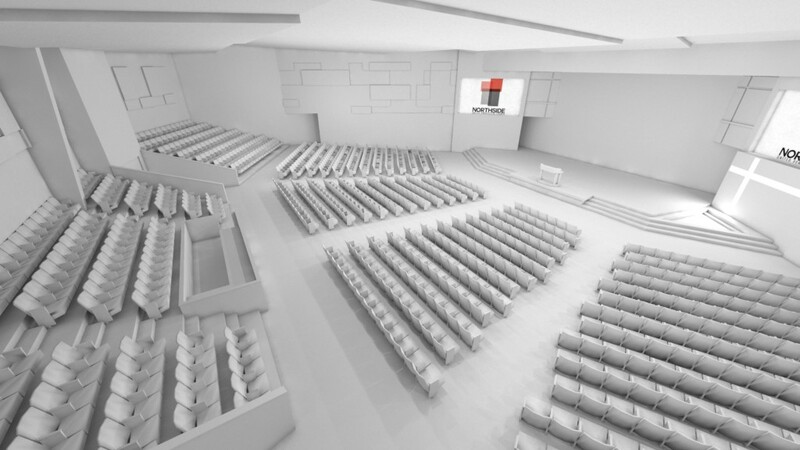 Northside has outgrown their current sanctuary which seats approximately 375 and has moved to multiple services to accommodate their growing congregation. 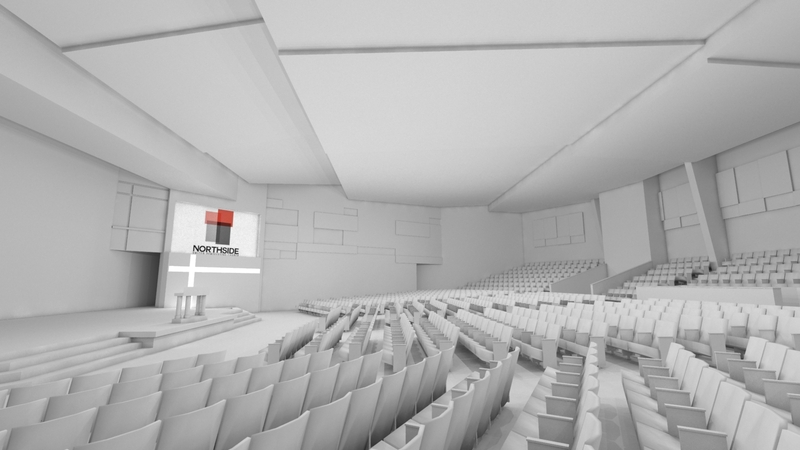 The new sanctuary addition will provide seating for 1000 as well as a prayer room, toddler and nursing rooms, a large foyer, book store, coffee bar, serving kitchen, and stage support spaces. 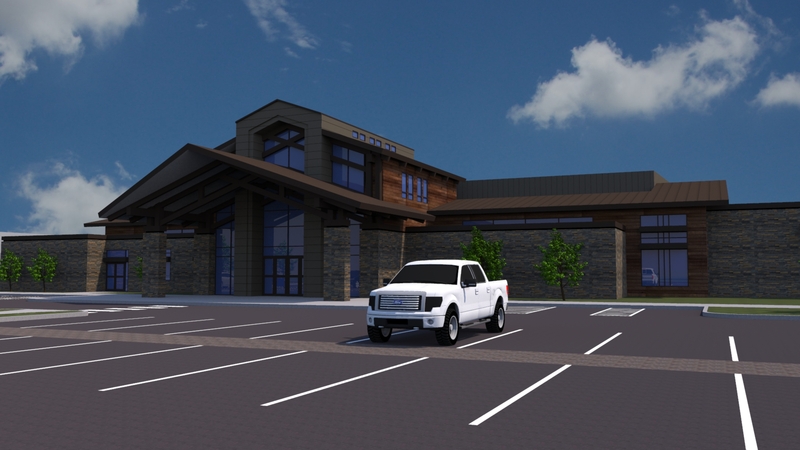 Future phases include an office and administration addition, facility upgrades to the existing activity center, and parking lot expansions. 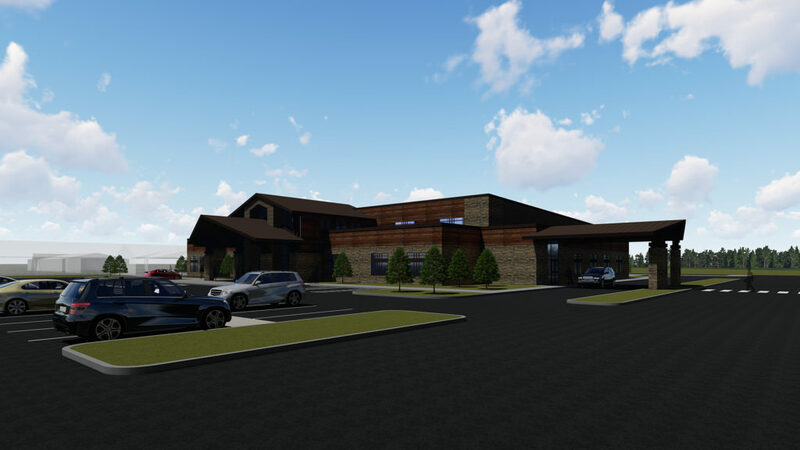 Northside’s building committee had the vision that the new sanctuary addition would be very welcome and inviting and requested that the facility have a rustic look with a lot of glass. 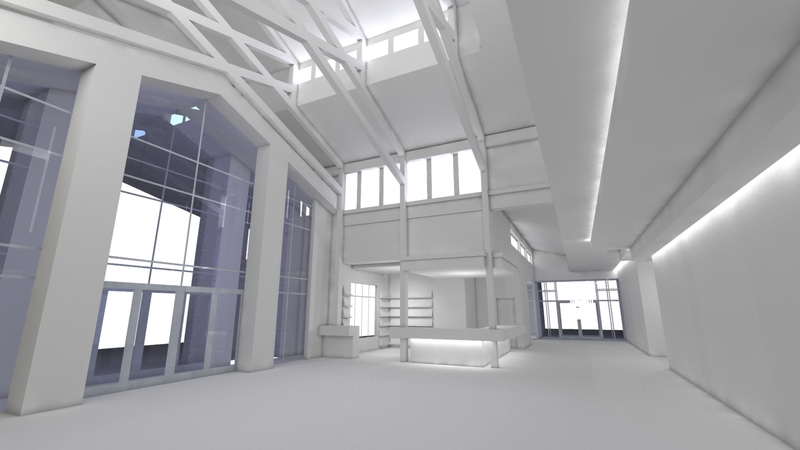 The conceptual images below illustrate the design concept which responds to this vision. 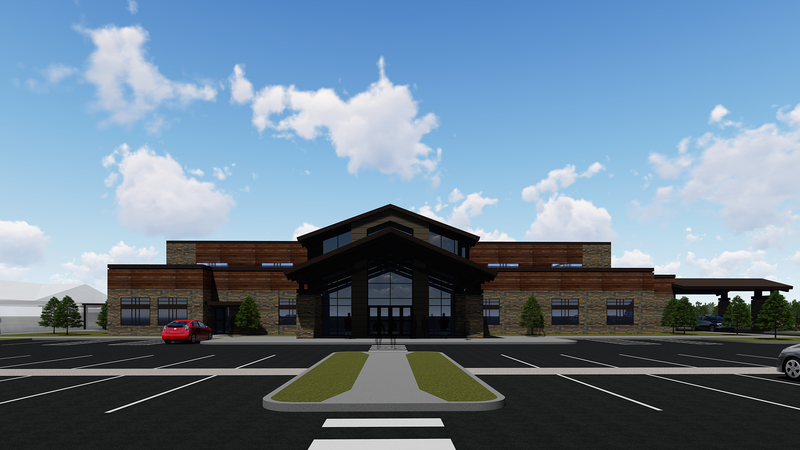 Ultimately the new addition will provide an improved presence on Kelley Highway in Fort Smith that will allow the growth of the Church to continue. 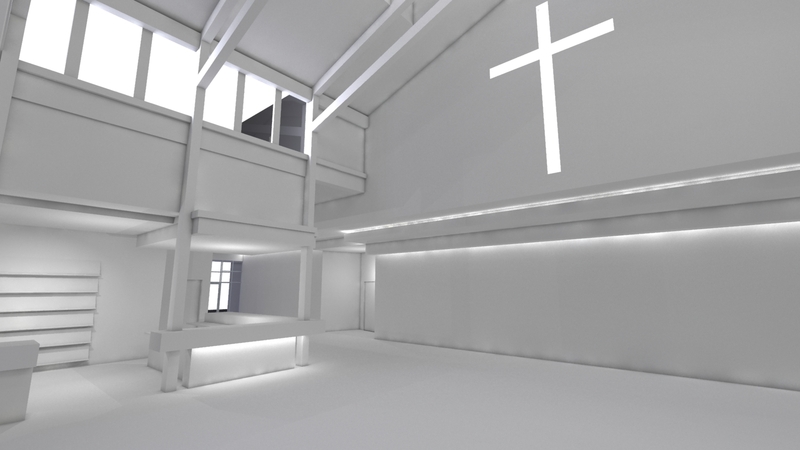 The images below are conceptual images of the interior of the new foyer and Sanctuary.